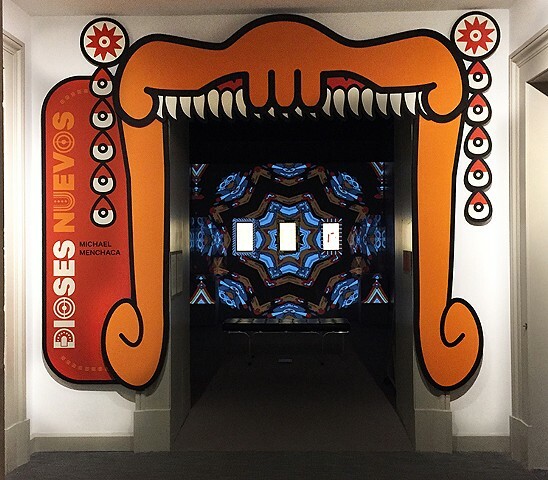 San Antonio-based artist Michael Menchaca connects his contemporary art practice with the Chrysler Museum’s ancient Mesoamerican collection in Dioses Nuevos. 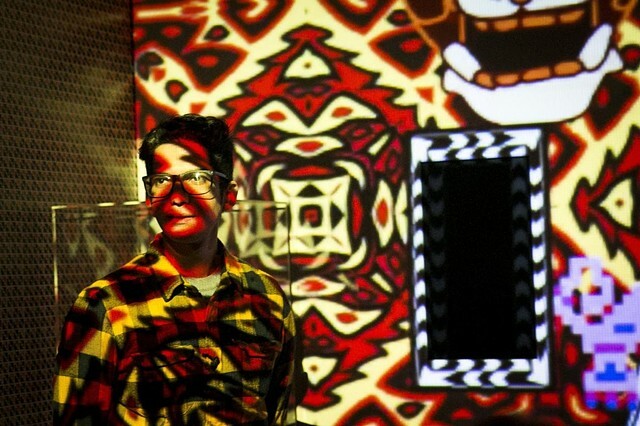 On view January 25–June 30, 2019, the dynamic, new, mixed-media installation will be created specifically for The Box project space at the Chrysler. 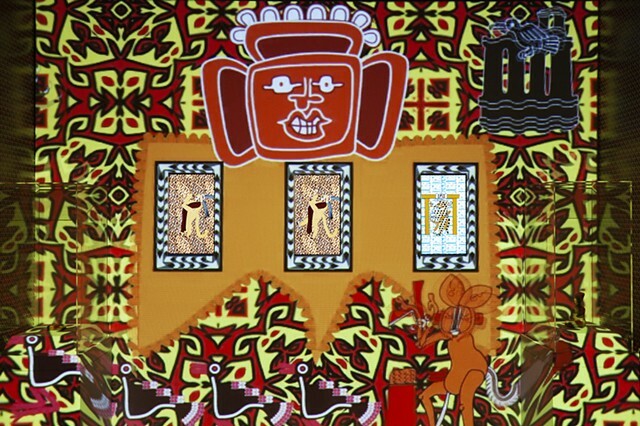 Menchaca’s work combines video game imagery; vibrant, graphic wall text; and sculpture with references and iconography from Mesoamerican historical codices (pictorial history books). 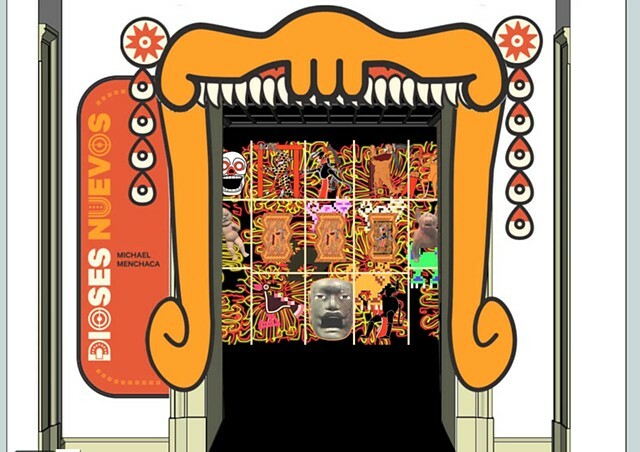 He often creates twenty-first-century deities, based on those from the ancient world, engaged with current sociopolitical issues, such as immigration and political bias that impacts Latinx, Chicanx, and Mexican immigrant communities. 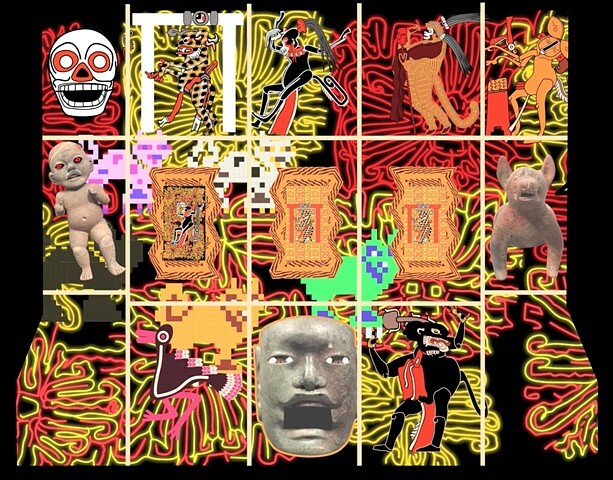 Still image from "Histrionic Mestizaje II"